2 cups of liquid (I usually use 1 cup of dry white wine and 1 cup of chicken stock, but you can use all chicken stock). Remove the stems and seeds from the mini peppers and cut in half vertically. In a large dutch oven, saute the onion and garlic in the olive oil until it is softened. Add the peppers, eggplant and salt. Partially cover with a lid and cook for about 10 minutes. Add in the tomato paste, cubed potatoes and the wine or stock. Stir well over medium-low heat. Partially cover with a lid cook for about 1 hour. Stir occasionally. Add more stock while cooking if needed. At the end of cooking, if too much liquid is present, remove the lid and turn the heat up slightly and cook and stir the pepperonata until it is your desired consistency. The end result should be a like a thick velvety vegetable stew. Season with additional salt and pepper if needed after cooking. This looks delicious! 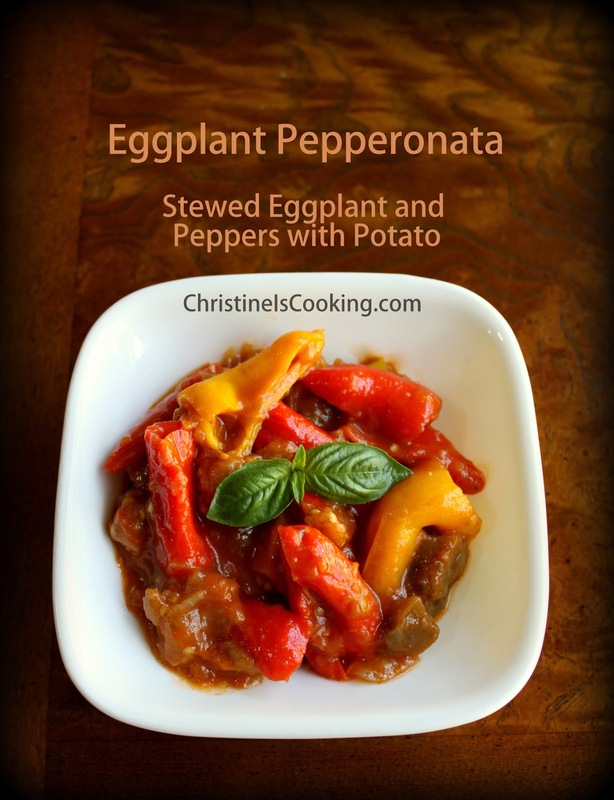 I have been thinking of eating more eggplant, so I am going to have to try this soon.